Laid down in 1942, at Bethlehem Steel, Hingham, MA. 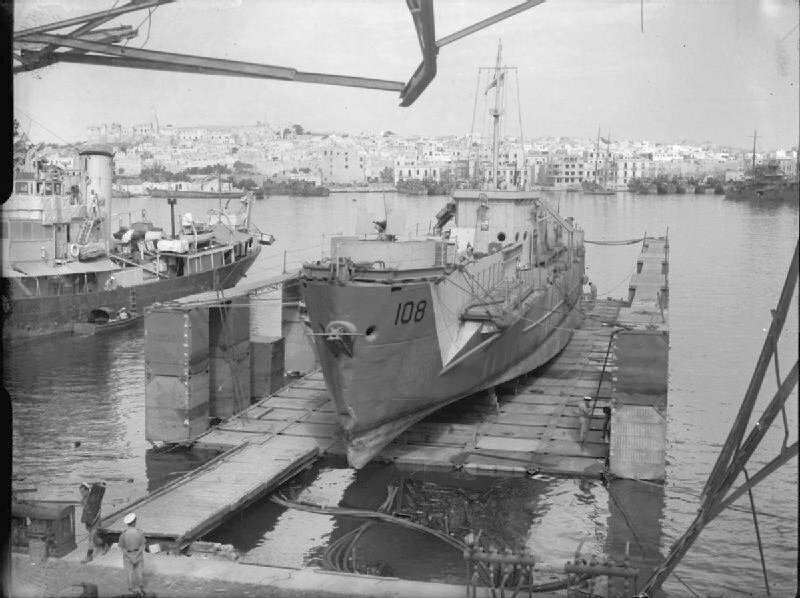 92k HM LCI(L)-108 in dry dock for repair, with a view of Sousse, Tunisia in the background. The floating dry dock was made in America. The parts were numbered and then assembled where wanted. 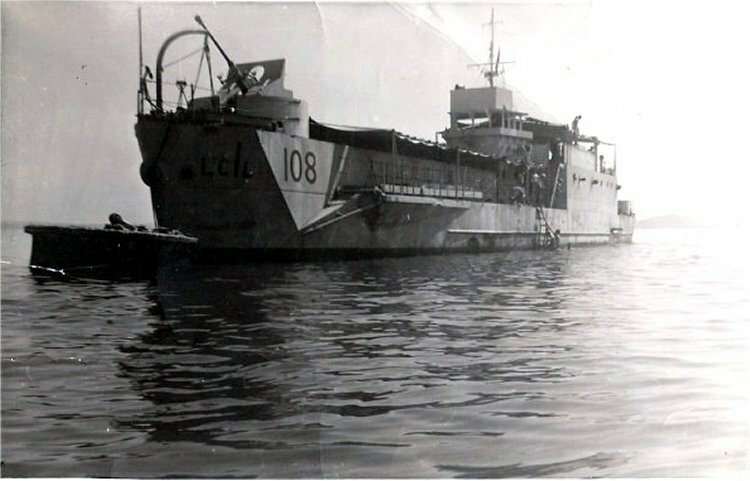 59k RFS LCI(L)-108 moored to a buoy, date and location unknown.